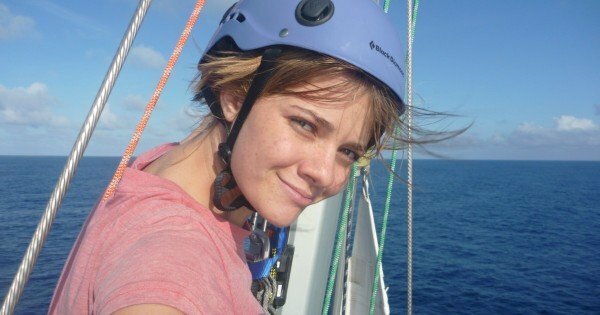 Jessica Watson stole the hearts of Australia when she became the youngest person to sail around the world unassisted. After arriving home in May of 2010, at just 16-years-old, the world assumed Jessica was a fearless woman. Now, at 22, Jessica tells Mamamia that wasn’t the case. 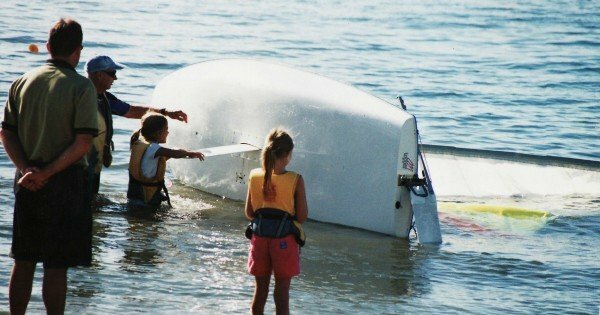 After sailing solo around the world as a sixteen-year-old most people assume that I was a fearless kid, but that couldn’t be further from the truth. When I started sailing aged eight I was scared of just about everything, I didn’t like climbing trees, cold water or riding my bike fast. I was timid, badly dyslexic and the first time I went sailing I was terrified. And it’s only now, nearly six years after sailing around the world that I’ve had time to reflect on how I overcame those fears. In the time since the voyage, I’ve had the incredible privilege of meeting a wide range of sports stars, from surfers to cricketers and rugby players. What’s more, I’ve been lucky enough to spend time and even count myself friends with a crowd who have an impressive appetite for pain, suffering, isolation and extreme temperatures: AKA adventurers. And I’ve come to an interesting revelation about this crowd of overachievers: they are not the gung-ho, adrenaline junkies you might expect, and many have overcome fears themselves. Of course, this is a generalisation. But the sports stars that become legends, and the adventures who make history, strike me as calculated and cautious. Certainly not the fearless supermen and women my younger self had imagined. Recently, any remaining illusion that these superstars might be fearless was torn apart when I sat down in a room full of sportsmen (sadly not women) at the top of their various games. I won’t tell you their names as the meeting was held on the condition of anonymity, but I can assure you that an enthusiastic autograph collector wouldn’t have been disappointed. I sat surrounded by an impressive collection of muscle, and participated in what was basically a giant D&M. A range of topics were covered, but the one that really struck me was fear. One after another of these men shared, in gruff manly tones, their experiences of feeling scared. Each had their own unique fears and strategies to manage those fears, but I was struck by the similarities and key themes that emerged. Of course, we all have to work out our own ways of defeating our personal demons, but I thought I might share a few of the things I’ve learnt from legends of sport and adventure in the hope that they might be applied to everyday fears. Firstly, I’ve heard many times that you need to build a headspace to be used as an armour in situations where fear comes knocking. You need to create a mindset that can be rolled out at the first sign of weak knees and self-doubt. The materials you use to build this ‘brave-haven’ will have to be your own, but I’d recommend plenty of good old-fashioned positive thinking and a long list of robust ‘whys’. Faced with fear, it’s absolutely critical that you’re able to tell yourself why you are doing whatever it is that you are doing. Feel free to make many of these ‘whys’ selfish, but I warn you that there will be a situation where you’ll need a ‘why’ that’s bigger than yourself. It’s clichéd, but I’ve heard many a sports star, faced with a career defining moment, and an adventurer faced with a life-threatening one, tell me that the ‘why’ they reached for was something much more than themselves. You need to be intimately familiar with this headspace, so practice using it in mildly intimidating situations. After all, a big wave surfer doesn’t take on a monster wave till he’s practiced holding his nerve on smaller ones! This practice and these small victories will help strengthen your ‘brave-haven’. Then, I’ve noticed a broad consensus that fear should be faced head-on. Firstly, as you prepare to grapple with your demons, you need to honestly assess the worst case scenario. Then you work back from that worst case and do everything possible to prevent it. It’s only the years of training (and building up those impressive muscles!) that gives a footballer the courage to run at the opposing team. 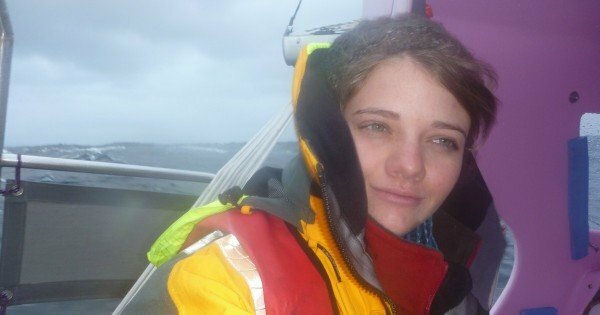 It’s only an extensive refit that gives a solo sailor the faith that her boat will survive fierce Southern Ocean storms (I’ll vouch for that one first hand!). I’m sure it’s not the quick fix you wanted to hear, but overcoming fear takes a lot of boring old hard work and preparation. Managing fear certainly isn’t easy, but what I’ve learnt is that skill or strength is secondary. Incredible feats are achieved in your head, and anyone has the ability to choose what goes on in their head. Overcoming fear is a learnt and practiced ability, but more than anything it’s a choice. Back when eleven-year-old me set my sights on sailing around the world I chose to overcome my fears. How do you overcome your own fears?